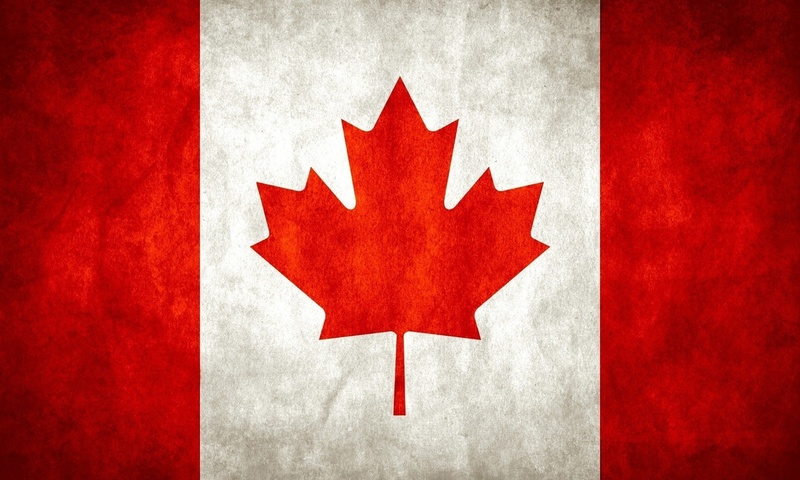 Canadian national flag has a red maple leaf on a white field with red edges. Maples are typical trees for the east coast and they were a very important source of sweet sirup for the first settlers. And it is still popular. The Canadian national crest is based on the one of the United Kingdom of Great Britain. There are added emblems of 3 maple leaves and 3 Bourbon lilies to the original British coat of arms. The otiginal English lion holds the British flag and a white Scottish unicorn holds the Bourbon flag as a symbol of unity of 2 nations, English and French, who both had their part in the Canadian history. Canada, which occupies the top half of the North American continent, is the second-largest country in the world. With an area of 9,970,000 km2, it stretches over 5,5000 km from the Atlantic Ocean to the Pacific and over 4,6000 km from the northern tip of Ellesmere Island to the United States border. Its population is 26 million. This vast country is not, of course, fully inhabited; 89 per cent of the land has no permanent population. In sharp contrast are the urban areas, where nearly 80 per cent of Canadians live in large centres located withhin 300 km of the southern border.58 per cent of the population is concentrated in a relatively small area in the extreme southern parts of the provinces of Ontario and Quebec. The aboriginal people of Canada came from Asia in prehistoric times, when Europe was still a continent without a name. 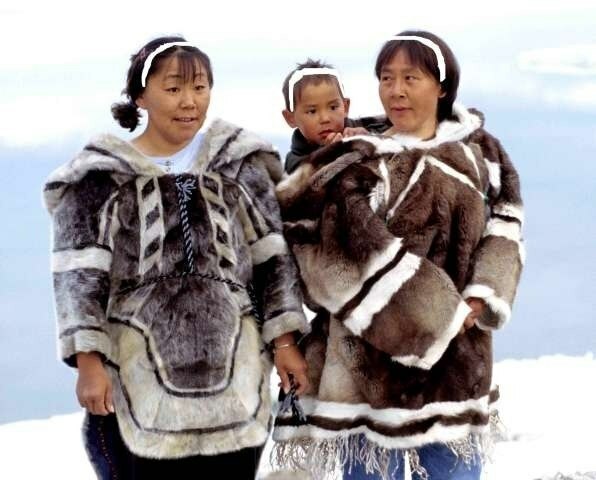 Although their numbers today may be greater than at any time in history, Canada s Inuit and Indians make up only1.5 per cent of the population.Most Canadians trace their origins to the British Isles (44.6 per cent) or France ( 28.7 per cent). Immigration since the late 19th century has given Canada its great cultural diversity. Canada' s bilingual and multicultural character is easily understood in light of the above-mentioned figures. English is the language most commonly spoken throughout the country, which the exception of the province of Quebec. 85 per cent of French-speaking Canadians live in Quebec, composing 80 per cent of that province 's population. One0third of the population of New Brunswick is French-speaking and there are large French-speaking communities in eastern and northeastern Ontario and smaller communities throughout the West and the Maritimes. English and French, Canada' s 2 official languages, have equal status and rights in all institutions of Parliament and the federal government. Religion has been an impotant influence in Canada' s history since the earliest efforts of missionaries to "Christianize" the aborigianal people.Religion continues to have an important role in the lives of Canadians. Although Judeo-Christian values are central to Canadian life, there is no national or state-supported religion. The 3 largest faiths in Canada-Roman Catholic, United ( a union of several Protestant groups) and Anglican- are found in every province. Migration from other countries has always been a large source of Canadian population growth. Canada has admitted over 11 millon immigrants since Confederation in 1867, millon of whom have arrived since the Second World War. In the past, Britain and Western Europe were the principial sources of immigration. But in recent years there has been a decline in European applications and an increase in those from Asia, the Caribbean and the United States. Просто здорово! Отлично сделанный материал. Думаю будет полезен многим. Мы сейчас проходим Канаду в 10 классе. Думаю, воспользуюсь этими данными. Good job!!! Thanks a lot!!! как раз в 10ом классе проходим эту тему. спасибо!